Cooking Christmas dinner is a bit of a tradition for me and Nikki when it comes to our family Christmases. When the whole family used to descend on our Grandparents house ‘en mass’ our family would stay at least the night before as we lived further away and the cousins would arrive on the day. 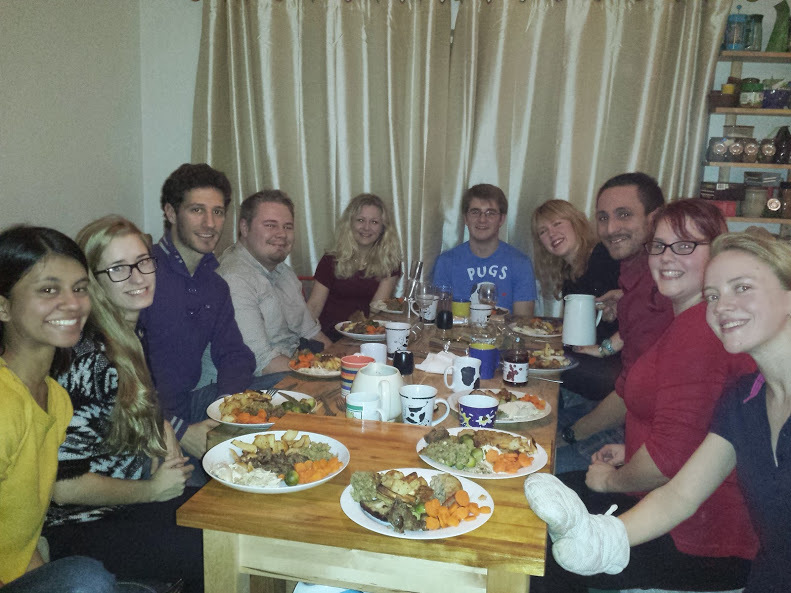 Moving to Southampton for Uni the tradition of cooking Christmas dinner for a large number of people continued, regularly feeding 12 people with our tiny oven! This year is no exception we fed 12 people with Turkey and all the trimmings, including 4 different types of stuffing! The only thing we really did differently to your standard Christmas Meal was the lack of bacon on the Turkey as one of our guests doesn’t eat pork. So we used orange slices to protect the skin of the Turkey from the foil and basted the Turkey a few times during its cooking. Something we don’t normally have to do if it covered in good quality streaky bacon as the fat from this tends to seep into the meat on its own. We also added some cranberries during the cooking so that we had some fantastically flavoured gravy. After dinner was over we had some more friends round for Mince Pies and Mulled wine, consuming large amounts of both in addition to devouring the first of my 3 Christmas Puddings and a whole mixing bowls worth of Brandy Butter!